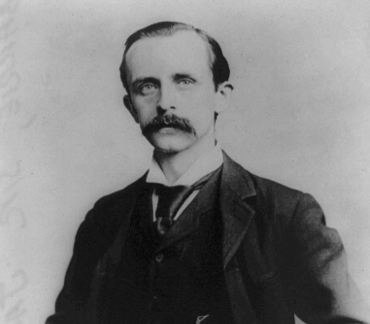 "J. M. Barrie is best remembered today as the creator of ""Peter Pan"". He was educated in Scotland but moved to London, where he developed a career as a novelist and playwright. There he met the Llewelyn Davies boys who inspired him in writing about a baby boy who has magical adventures in Kensington Gardens. ""Peter Pan"" quickly overshadowed his previous work, although he continued to write successfully, and it became his best-known work, credited with popularising the name Wendy, which was very uncommon previously. ""Peter Pan"" has been featured in a variety of media and merchandise, both adapting and expanding on Barrie's works." Scottish author and dramatist, best remembered today as the creator of Peter Pan (1860-1937). 2 autograph letters signed. [Farnham and London]. 8vo. Altogether (1+1 =) 2 pp. on 2 ff. 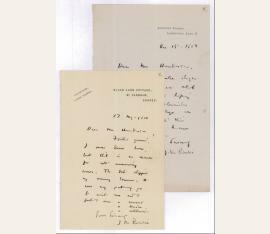 To John Henderson, Secretary of the National Liberal Club: "Foiled again! 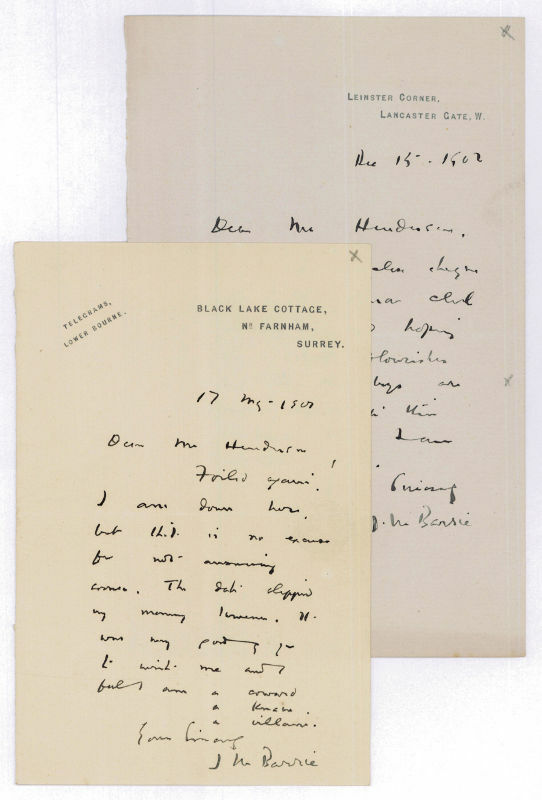 I am down here but his is no excuse for not answering sooner [...]" (Black Lake Cottage, Farnham, May 17, 1901). - The letter from London, December 15, 1902, announcing a cheque for subscription of the Omar Khayyam Club. Schriftsteller (1860-1937). 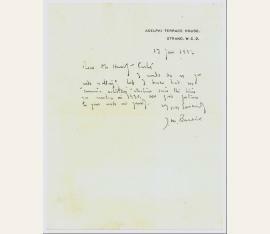 Autograph letter signed ("J. M. Barrie"). Wohl London. ½ S. 8vo. 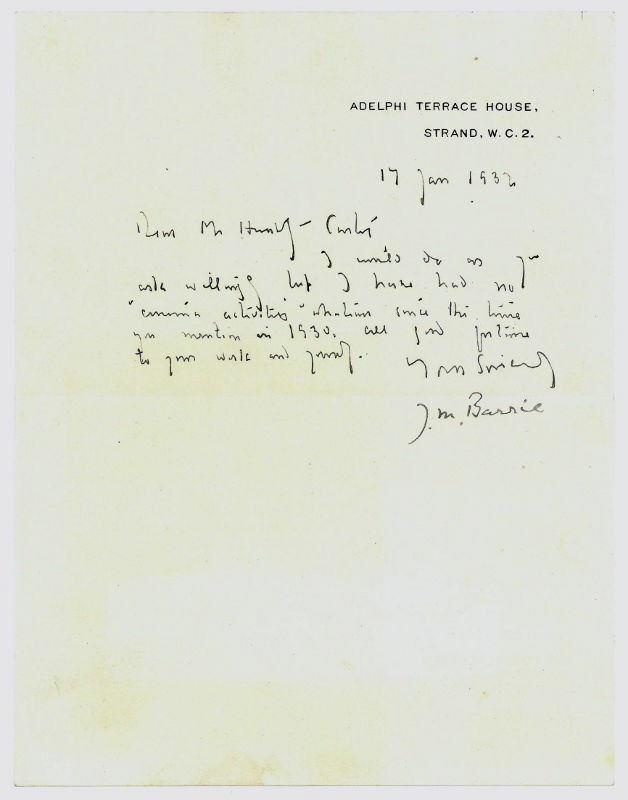 To one Mr. Hunt: "I would do as you ask willingly but I have had no '[...] activity' whatever since the time you mention in 1930 [...]".